How Do Connections Work in an Experiment or Research? Much of the true power of GLIDR comes from the Connections between data. This allows you to correlate different types of information, show how they correspond to and either support or oppose your Ideas. 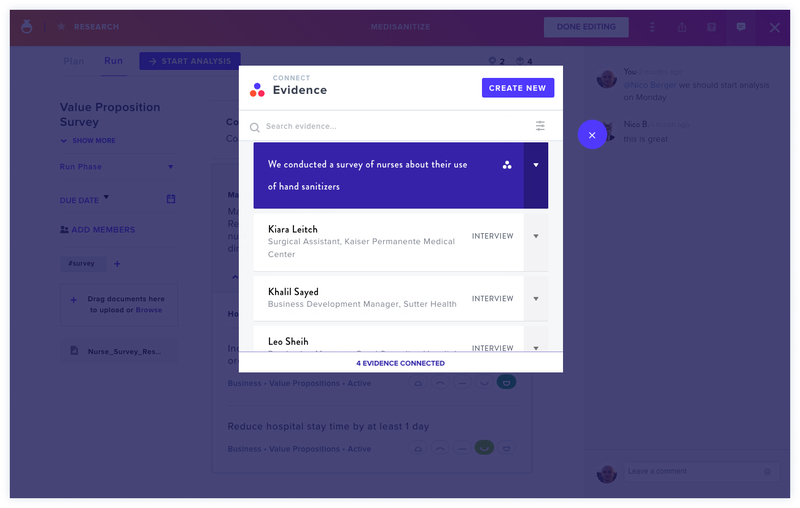 During the Run phase of Experiments and Research, you can create and or connect corresponding Evidence to an Experiment or Research. 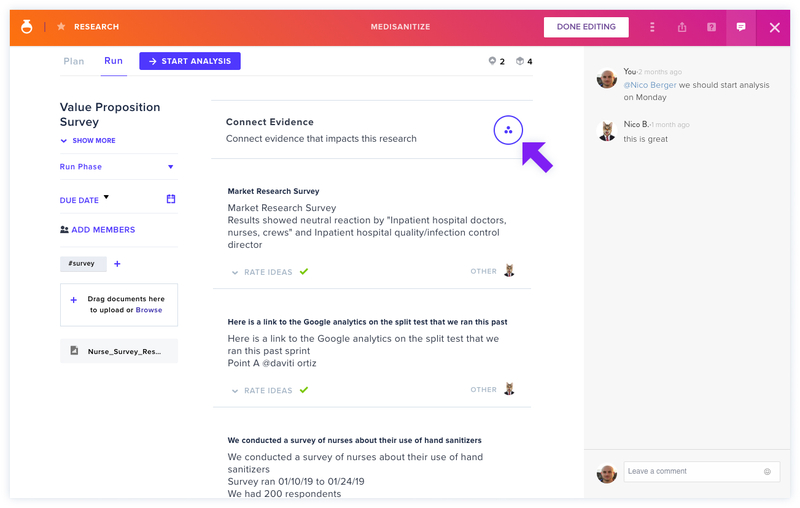 Though you can independently connect Ideas to Evidence, you can also do so via an Experiment or Research. If you opt to connect any Ideas to your Experiment or Research in the Plan phase, they will be automatically connected to any Evidence connected in the Run phase. These connections and ratings will be visible in the Experiment or Research, as well as in the specific Evidence and Idea's Connections tab. How about connecting your Evidence?